Increasing Efficiency with OneNote, RocketBook, and Office 365! My goal this year is to become more efficient. 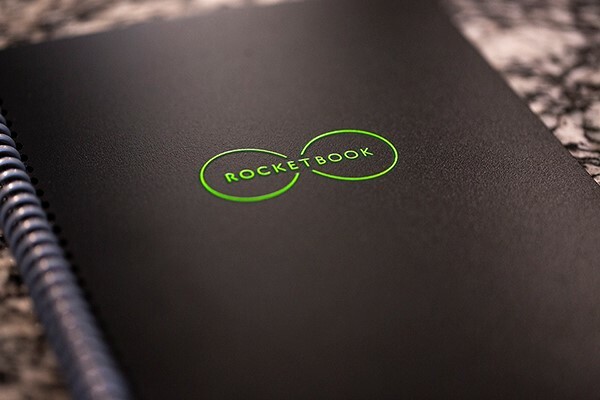 To work toward that goal, I started using a tool called Rocketbook. 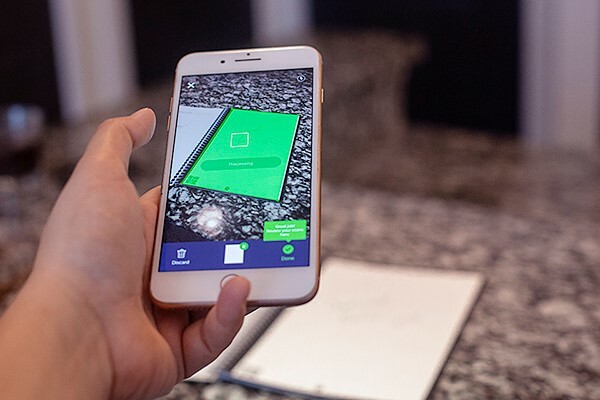 It’s a physical notebook that can be written in with a special pen, scanned and uploaded, then erased and reused. It allows me to take notes at client meetings, snap a picture, and then automatically upload to my files. When researching, I found that Rocketbook will also integrate with Microsoft OneNote! I didn’t use OneNote much before, but I did some research. It is much more than just a fancy version or alternative to Word! It is a simple setup through the RocketBook app to sign into my Microsoft account. All I need to do is mark a symbol on the bottom, scan the page, and OneNote will do the rest! Further, Crestwood is on Office 365 (if you are not, we can help you get there – reach out to your CAM!) There is an add-in in the toolbar in Outlook, under the “Move” category that says, “Move to OneNote.” When you click on an email, open or not, you can move that email to OneNote and save in a file directory. You can add additional text to make comments, and then save it under a specific header for easy searching and lookup later. 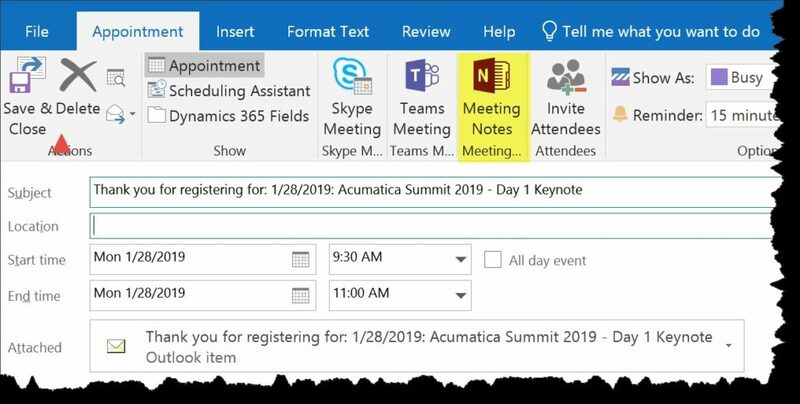 To take it a step further, you can open meetings from your calendar, select the “Move to OneNote” option, and – just like that – the details of the scheduled meeting are placed in OneNote, so I can add additional notes, comments, text, pictures, etc. to that meeting. So instead of having to take notes and writing the details of the meeting, who attended, start time, etc. in a separate place, the system does it for you! Then I use my RocketBook to attach any extra notes or even drawings of charts. How’s that for efficient? That is just one way that OneNote has sped up my daily processes. 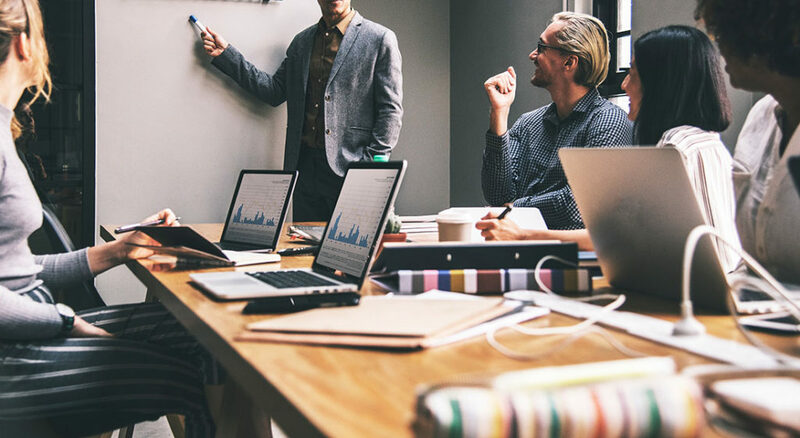 There are many other features that One Note has to offer (one of which being seamless integration with Microsoft Dynamics platforms like Dynamics 365). 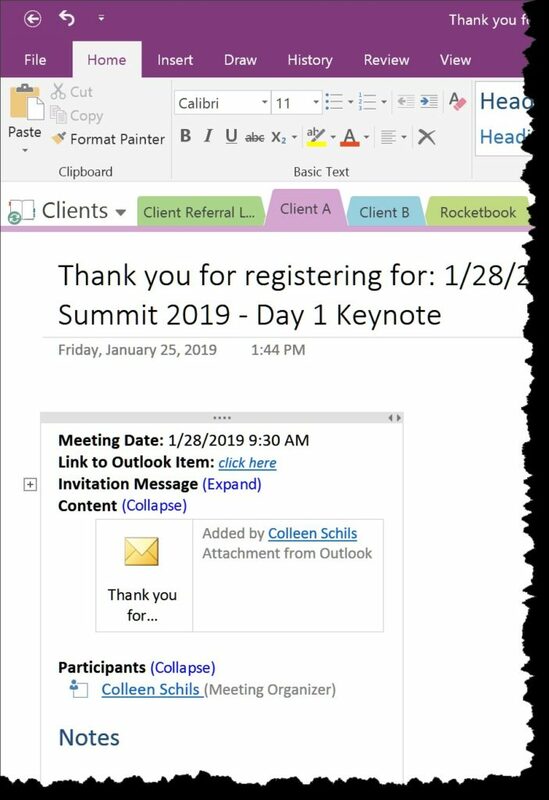 If you are not on Office 365 and using the great new enhancement and tools that Microsoft is adding to the Office Suite, you are missing out. Let us help you with the path to license Office 365, we are good at that! And we provide you with new tips and tricks that the Office tools offer, you can take advantage of them that same day! Subscribe to our blog for those. Give us a try, we are just that good.